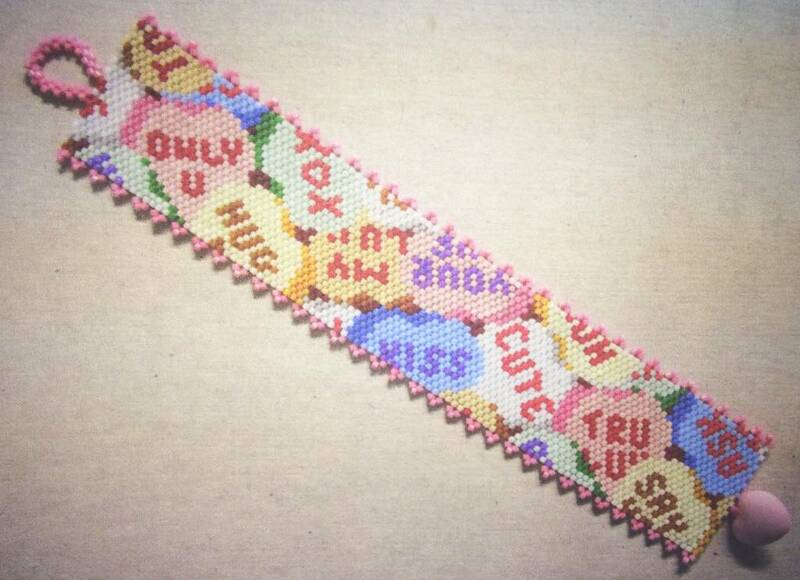 2/05 6-9pm Candy Hearts Bracelet - Bloomin Beads, Etc. This adorable bracelet is just too cute for words! Designed by Belinda McCoy, with permissions to teach. Wonderful peyote pattern in delightful colors! Come join in this fun class! Darling Bracelet Reminds You of Heart Candies on Valentines Day!